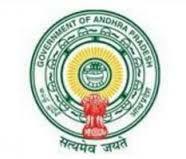 Health & Family Welfare Department Vizianagaram District published an official notification for Recruitment of Supervisor, Staff Nurse, Specialists and Pharmacist for 40 posts. Eligible candidates can apply for this recruitment. You can view more details about this recruitment including No. of posts, name of post, Educational qualification, Age limit, Selection process, How to apply etc... You can also view official notification and other important facts about this recruitment e.g. Important links and Important dates. Educational qualification: Candidates should have Medical Diploma, General Nursing & Midwifery, Graduation Degree, MBBS different for each post. Above given medical staff vacancies Applications are invite in prescribed format along which may be download from www.vizianagaram.nic.in and send to official address before 11/07/2017.